After the last episode of Chinese “Produce 101”, the group name of the top 11 girls were announced and they are none other than Rocket Girls. Members also include WJSN‘s MeiQi and XuanYi. On June 25th, official pictures of their new dormitory were uploaded to their official Weibo account. Netizens were amazed by how luxurious and sophisticated the house they will be staying at look! The girls also took a photo in their new dormitory. Some netizens were curious how much it costs to be living in a house like that and went to research on the monthly rent. It was revealed that it cost 80,000 yuan (about USD 12,000) per month! 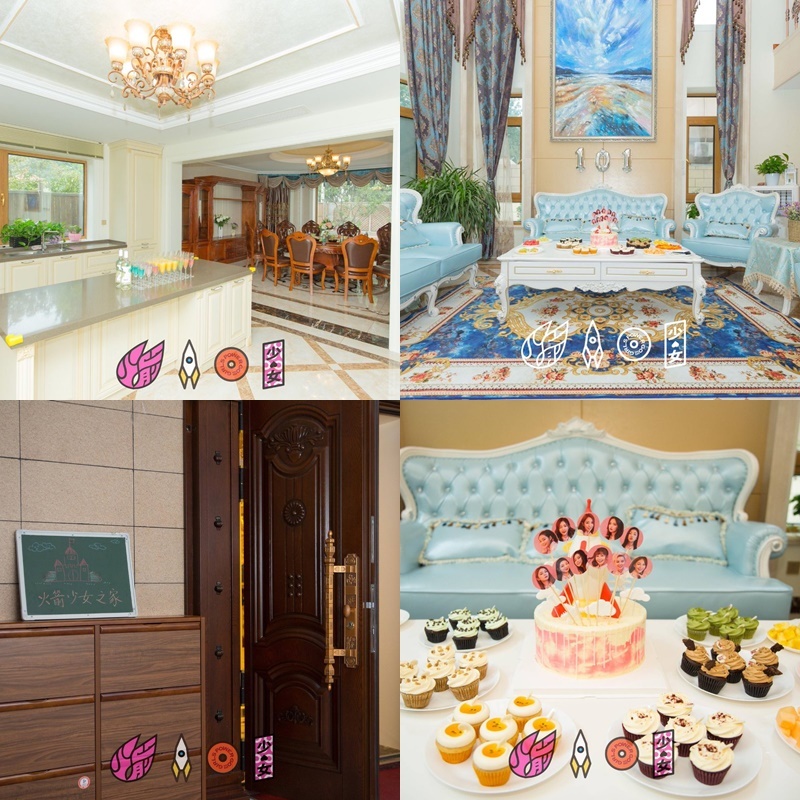 According to the information found, the house which the girls will be staying consists of 8 bedrooms and 3 living rooms. Some fans also commented that they are curious about which members will become roommates of each other. Other than that, they still could not get over how wonderful and beautiful the interiors are. Currently, it was also revealed that Rocket Girls will be filming their own reality show.